The Dell Rapids and Dell Rapids St Mary track teams participated in the Scott Underwood Invitational track meet held at the Sandford-Jackrabbit Athletic Complex in Brookings on Monday, April 1st. The Cardinal girls team finished with a total of 25.5 points, while the Quarrier girls team finished with 16.5 team points. Ipswich won the girls title with 77.87 points and Sioux Falls Christian was second with 62.33 points. The Quarrier boys finished with a total of seven team points and the Cardinal boys team had a total of three team points. Sioux Falls Christian won the boys team title with 102 points. Milbank was second with 48 points. Dell Rapids St Mary will compete Barnes-Evans Relays in Flandreau on Tuesday, April 2nd. The Cardinals will also travel to Estelline for a meet that was recently added to the schedule on Thursday, April 4th. Dell Rapids be at Tri-Valley on Thursday, April 4th. Athletes from the Dell Rapids St Mary Cardinals and Dell Rapids Quarrier track teams are participating in the 2018 South Dakota state track meet held in Rapid City on Friday, May 25th and Saturday, May 26th. The Cardinals’ Ella Heinitz finished 2nd in the 400m dash and 8th in the 800m dash, and Weston Geraets had a 6th place finish in the triple jump. The boys 4x800m Relay team also finished 7th. For the Quarriers the girls’ 4x100m relay team finished 4th, girls’ 4x200m relay team finished 7th, girls’ 4x400m relay team finished 4th, the boys’ 4x100m relay team placed 3rd, and the boys’ 4x400m relay team also placed 3rd. Aspen Hansen and an 8th place finish in the 300m hurdles. Mason Schmidt won the High Jump event for the second year in a row and placed 8th in the long jump. Sydney Stofferahn finished 8th in the Discus, and Emma Paul finished 8th in the Shot Put. The Dell Rapids St Mary Cardinal girls and boys track team traveled to Chester for the Region 4B track meet. The Cardinal girls placed fourth with 93 points. Hanson won the girls title with 184 points. Colman-Egan was second with 118 points, and Chester Area was third with 108 points. The Cardinal boys also finished fourth with 91 points. Colman-Egan won the boys title with 132.5 points. Hanson was second with 115 points, and Chester Area finished third with 95.5 points. Some of the Cardinal track members will participate in the 2018 State B track meet. The meet will be held on Friday, May 25th and Saturday, May 26th in Rapid City. The Dell Rapids St Mary Cardinal girls track team finished fourth, and the boys team finished fifth at the Dakota Valley Conference track meet held at Estelline on Thursday, May 10th. The St Mary girls finished with a total of 71.5 points. Deubrook Area won the girls team conference title with 192 points. Estelline/Hendricks was second with 158.5 points, and Colman-Egan was third with 87.5 points. Ella Heinitz and Maddie Schwebach had individual conference titles. The Cardinal boys finished with a total of 78 points. Colman-Egan won the boys team conference title with 126 points. Elkton-Lake Benton finished second with 105 points, and De Smet was third with 100 points. Ryan Eining earned an individual conference title. St Mary will be at the regional meet in Chester on Thursday, May 17th. Both the Dell Rapids Quarrier and Dell Rapids St Mary track teams participated in the Dells Invite at Dell Rapids High School on Monday, May 7th. Seniors for the Dell Rapids track team and girls golf team were recognized during senior day at the meet. The Dell Rapids girls team won the team title with 149 points. Colman-Egan was second with 95 points. Tri-Valley finished third with 78 points. St Mary placed fifth with 60 points. The Dell Rapids boys team also won the team title with 143 points. Tri-Valley was second with 126 points. Garretson finished third with 68 points. St Mary finished sixth with 38 points. Dell Rapids will be at Dakota Valley on Thursday, May 10th. St Mary will be at Estelline for the DVC meet also on Thursday, May 10th. The 93rd annual Howard Wood Dakota Relays were shorted due to the weather on Saturday, May 5th, and events that were in progresses were worked out by the meet officials. All of Friday’s events were completed without issue. Over 3,000 middle school, high school, and college athletes competed in the event over the weekend. Several Quarrier and Cardinal track athletes participated in the event. 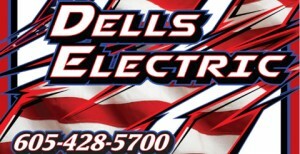 Both Dell Rapids and Dell Rapids St Mary will be at the Dells Invite at Dell Rapids High School on Monday, May 7th. The Dell Rapids Cardinal track teams went to Baltic on Tuesday, May 1st for the 60th Annual Baltic High School Invite. Both teams placed ninth and had nearly identical scores. The Cardinal girls team finished with 42 points. Deubrook Area placed first with 150 points. Colman-Egan was second with 133 points, and Garretson was third with 79 points. The Cardinal boys team finished with 44 points. Baltic won the boys title with 139 points. Colman-Egan was second with 93 points, and Chester Area placed third with 83 points. St Mary will have participants in either the O’Gorman Invite on Friday, May 4th or the Howard Wood Relays on Friday, May 4th and Saturday, May 5th. St Mary will also participate in the Dells Invite on Monday, May 7th. The Dell Rapids St Mary Cardinal girls and boys track teams competed at the Running Elk track meet in Elkton on Saturday, April 28th. Nine teams competed in the girls division, and ten teams competed in the boys division. The Cardinal girls finished fourth with 89 points. Colman-Egan won the girls title with 112 points. Flandreau was second with 107 points, and Chester Area finished third with 91 points. The Cardinal boys finished sixth with 48 points. Colman-Egan also won the boys title with 151 points. Elkton-Lake Benton was second with 115 points, and Chester Area finished third with 99 points. St Mary will travel to Baltic on Tuesday, May 1st for their next meet.